International Thermoplastic Elastomer (TPE) compounding group, HEXPOL TPE, has launched Dryflex DW – a special range of TPE compounds for applications that come into contact, either directly or indirectly, with drinking water. Philippe Julien-Labruyère, sales director HEXPOL TPE explained, “When our water supply goes on its journey to our taps, we don’t want its quality to be impaired by unwanted odours, colours or flavours. We also want to help safeguard against any microbial contamination along the way. That is why we have developed the Dryflex DW range of TPEs”. Dryflex DW TPE compounds have passed German drinking water regulations, they have been tested and approved according to ‘The Guideline for hygienic Assessment of Organic Materials in Contact with Drinking Water’ (KTW Guideline) for cold and warm water (23°C / 60°C). Dryflex DW TPE compounds have no microbial growth without the use of biocides and have been approved according to DVGW Technical Standard W270, which describes a test method to determine the microbial growth on non-metallic materials intended for use in drinking water systems. Dryflex DW TPE compounds are available in hardnesses from 50 to 90 Shore A. They are available in natural and black, as well as custom colours with compliance certification. The raw materials used to produce Dryflex DW TPEs are compliant with food contact regulation (EU) No 10/2011. They can be processed via injection moulding or extrusion and bond to PP and PE in multi-component applications. 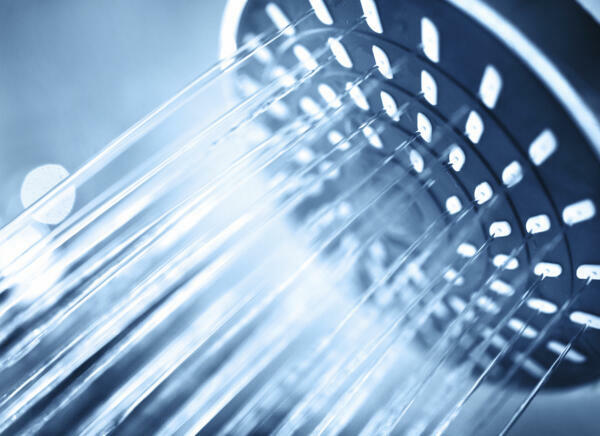 Typical applications for Dryflex DW TPE compounds can include both domestic and commercial applications such as plumbing seals, pipe fittings and shower-heads. To learn more visit https://www.hexpoltpe.com/en/dryflex-dw.htm.